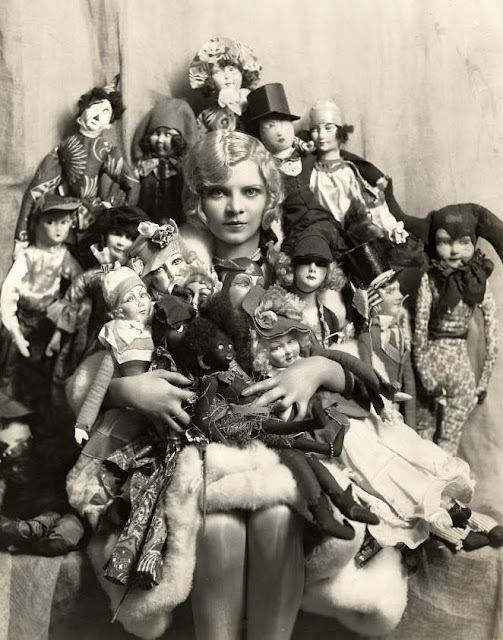 A woman poses with her boudoir doll collection in Paris, France in 1922. The dolls were all over France, England, Italy, Germany and the US. Notice how some of her dolls are of different ethnic complexions, those were extremely rare even back then, and only really came from France and parts of the U.S.